Despite the growing interest in digital mortgage originations, mortgage loan cycle time actually grew longer in 2017, to an average of 36 days – an increase of almost a week from the previous year. This increase in loan cycle time means lenders need to look at streamlining other areas of the mortgage process in order to improve profitability and borrower satisfaction. 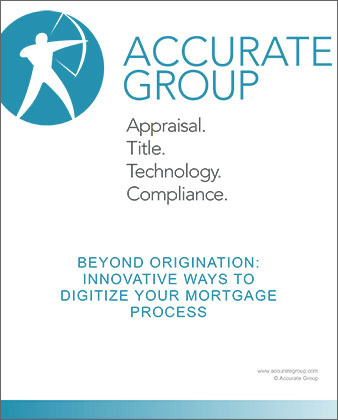 Luckily, there are other opportunities for digitization in both the back- and front-office that mortgage lenders can leverage to achieve greater efficiencies, lower costs and gain a strategic advantage. In this whitepaper, we’ll explore 3 of these areas – e-appraisals, e-closings and e-audits.